Lawyers with a down-to-earth approach. Having a lawyer defending your rights will save you money, whether for criminal or civil cases. 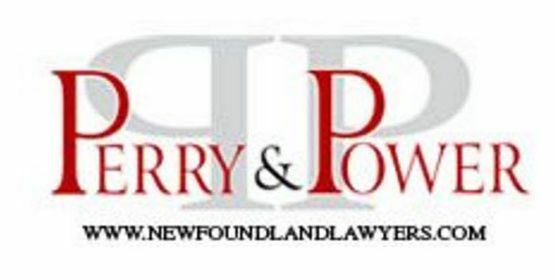 At Perry & Power, we are experienced Newfoundland lawyers with a down-to-earth approach with clients. We are small enough to provide personalized service yet large enough to provide high quality advice and representation to both individuals and corporations. Combined, we have over 85 years of practical experience in providing legal advice and services. Our firm offers a wide range of services. We can act on the purchase, sale or mortgage of any type of real estate, either residential or commercial. Today’s world is a complex web of contractual, quasi-contractual and legal restrictions and obligations. We can help you make sense of these and work with you to obtain the best possible combination for your needs. We also provide advice on and prepare wills and represent clients in estate disputes. We represent people who have been injured, either through a slip and fall, or motor vehicle accident or other unfortunate circumstance. We handle family matters such as divorce, custody, child support, spousal support and division of property. We also handle all sorts of criminal law matters, as well as many types of civil litigation including claims for wrongful dismissal. Call Perry & Power today if you need the legal guidance of a Newfoundland lawyer. Even in minor accidents, people who are represented tend to receive higher settlements than those who try to represent themselves. Whatever corporate or partnership activity you are interested in pursuing, we can help to discuss your options. Your will can be completed within a very short time, involving only one or two office visits, and it is surprisingly inexpensive. Perry & Power makes legal advice more affordable with fixed fees and contingency fees for certain cases. Appointments outside of these hours, either during the evenings or on weekends can be arranged directly with the particular lawyer you wish to see.